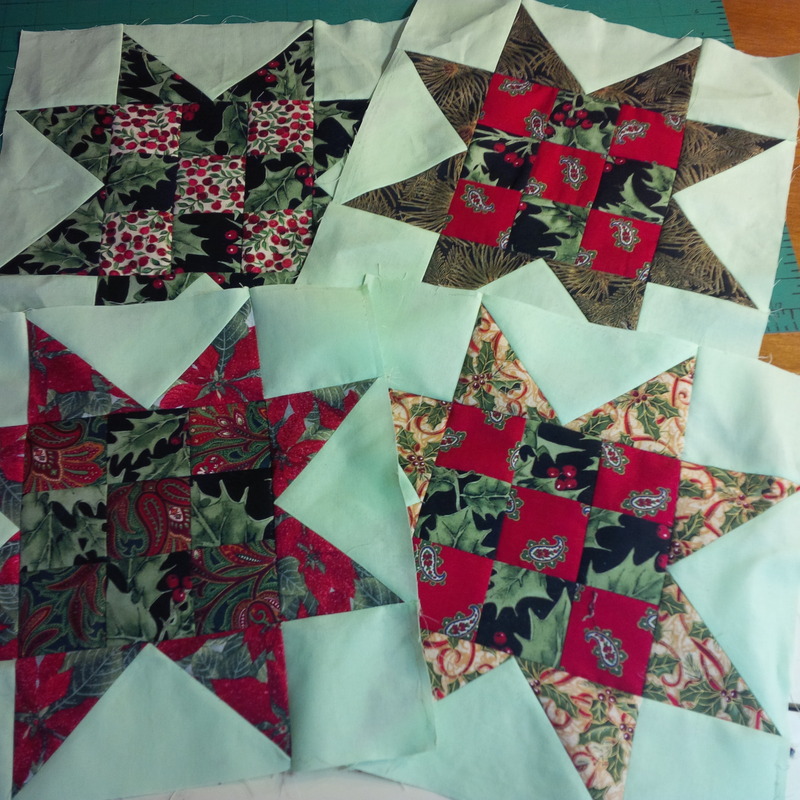 I’ve finished half of the ditch quilting on Oh My Stars, and I’m thinking about what to do with the green background. I’ll probably stipple it. 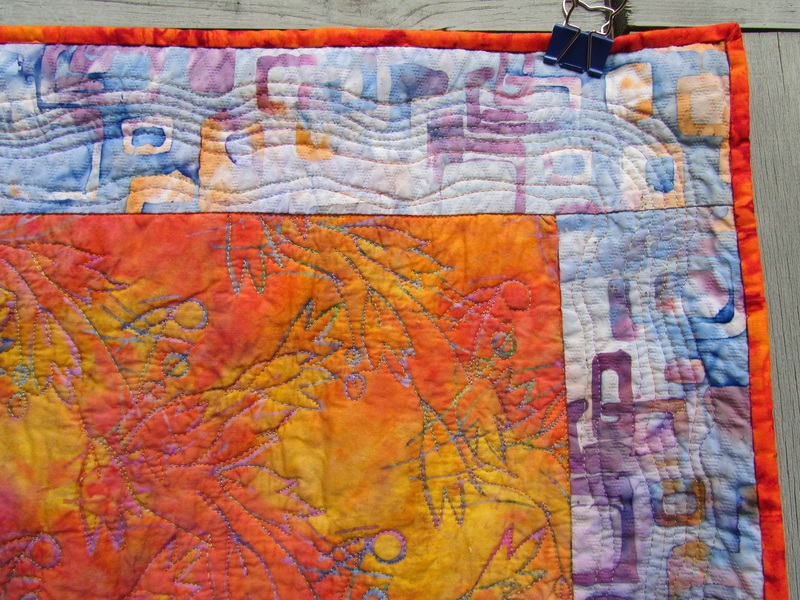 I looked at the Flickr page(s) for this Quilt-a-long, and that’s how most were done. Go over and look. 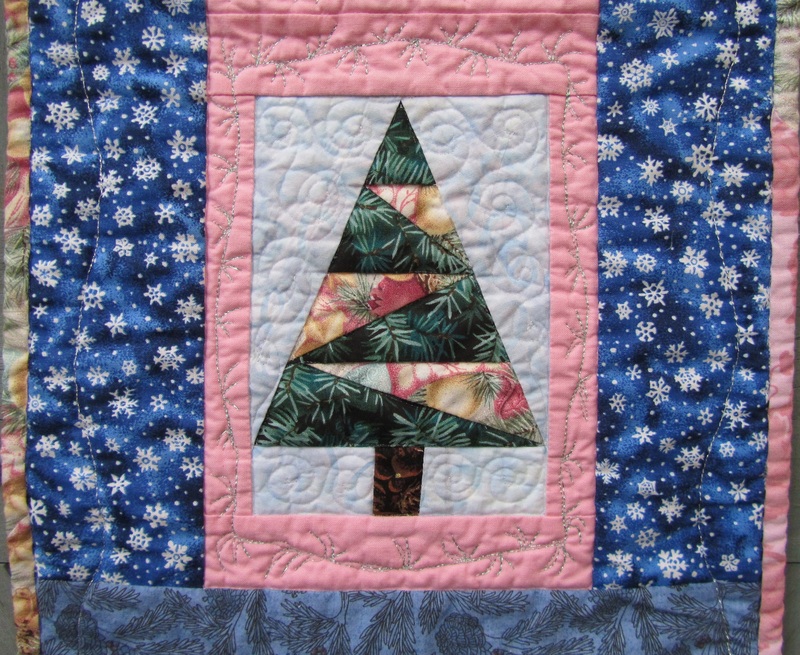 There are some gorgeous quilts there, and even a couple of Christmas ones. Gotta love the red background! 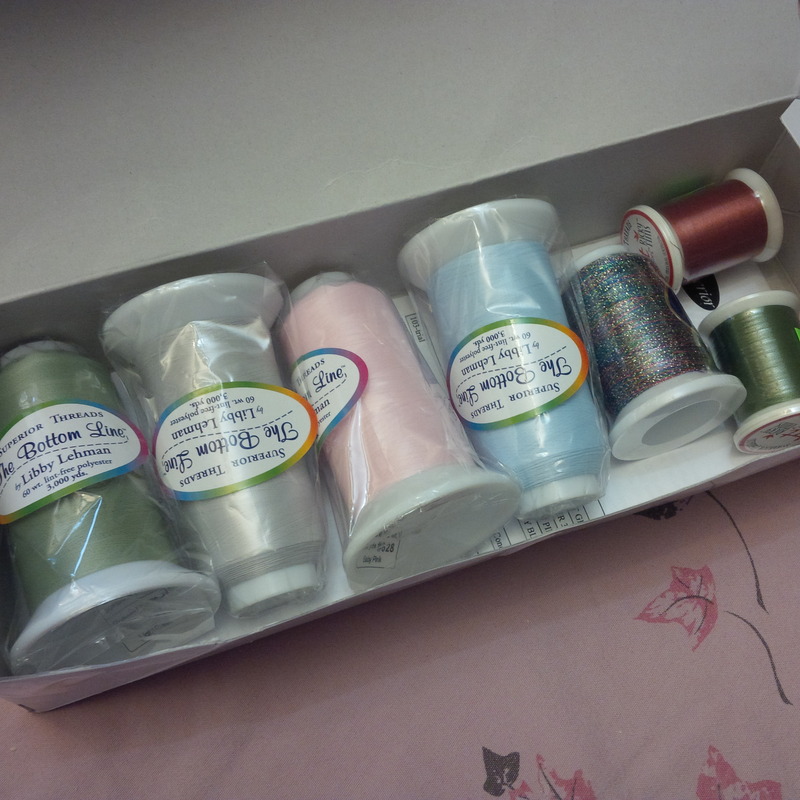 I needed pale green thread to quilt the background, so I ordered some from Superior, and it came crazy fast. Thought I could take a couple of days off, but, nooo, my thread is here! So pretty and fun to get in the mail. 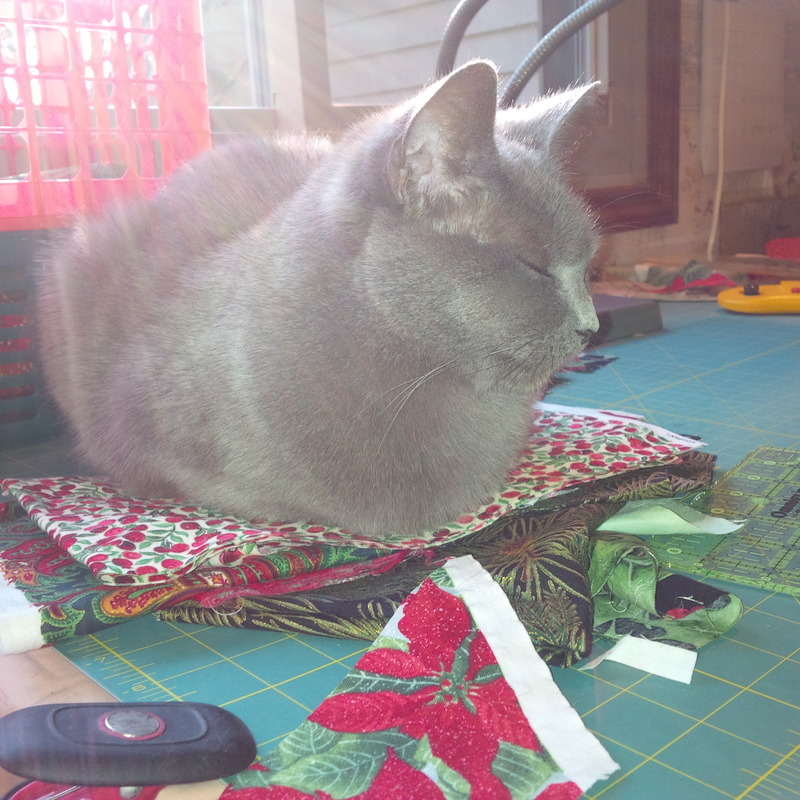 Today I interrupted the quilting to pull fabric for a quick, super-secret project. Check over on Twitter if you want to get some clues. 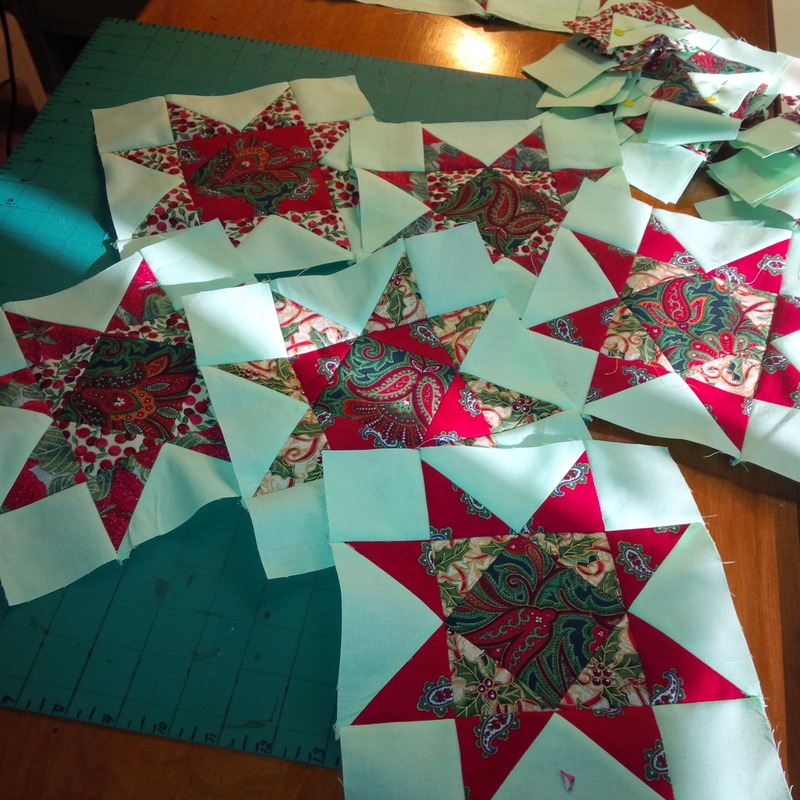 Categories: Uncategorized | Tags: Evening in the Garden, freshly pieced, Oh my stars, Valerie Root, wip wednesday | Permalink. Here is my entry in the Wall Hanging category of the Blogger’s Quilt Festival at Amy’s Creative Side. Make sure you go over to see everyone’s work. The show is always fantastic. I am fortunate enough to live on a hill in a wooded area, and this was my view one fall evening as the sun was setting. You know you own a lot of batiks when you can walk inside and pull the perfect sky fabric immediately. 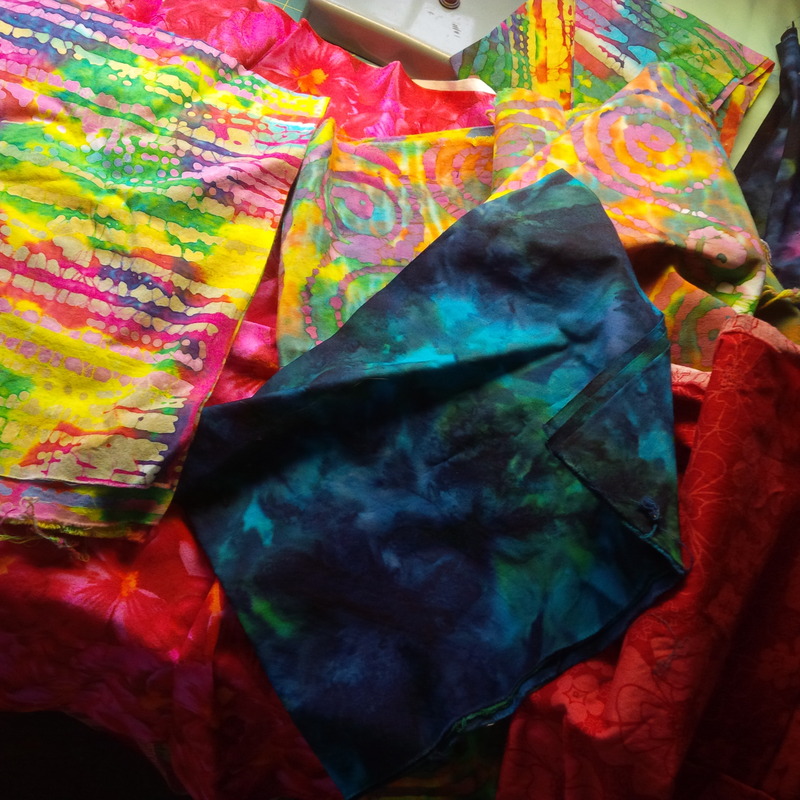 Most of the fabrics in this are batiks. 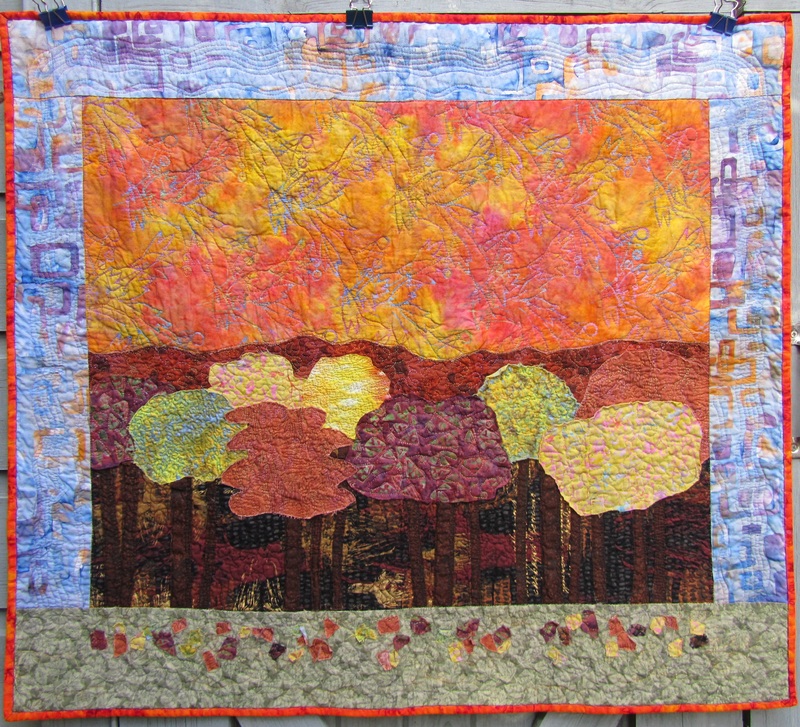 I hung the sky on my design wall, layered the “ground” fabrics over it, and cut the trees and trunks freehand. I used a glue stick to adhere them. Then I cut the design to size and framed it with green grass and blue sky. 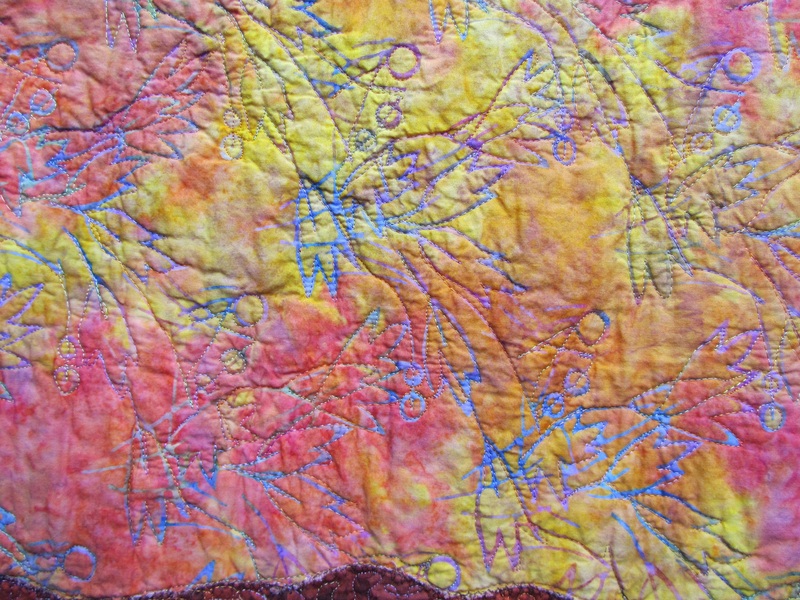 I really love the textured blue batik fabric that contains hints of purples and oranges from the scene. The fallen leaves on the grass are bits of scraps from the trees. I laid them on after the quilt was sandwiched, covered them with water-soluble stabilizer, and quilted over them to hold them on. 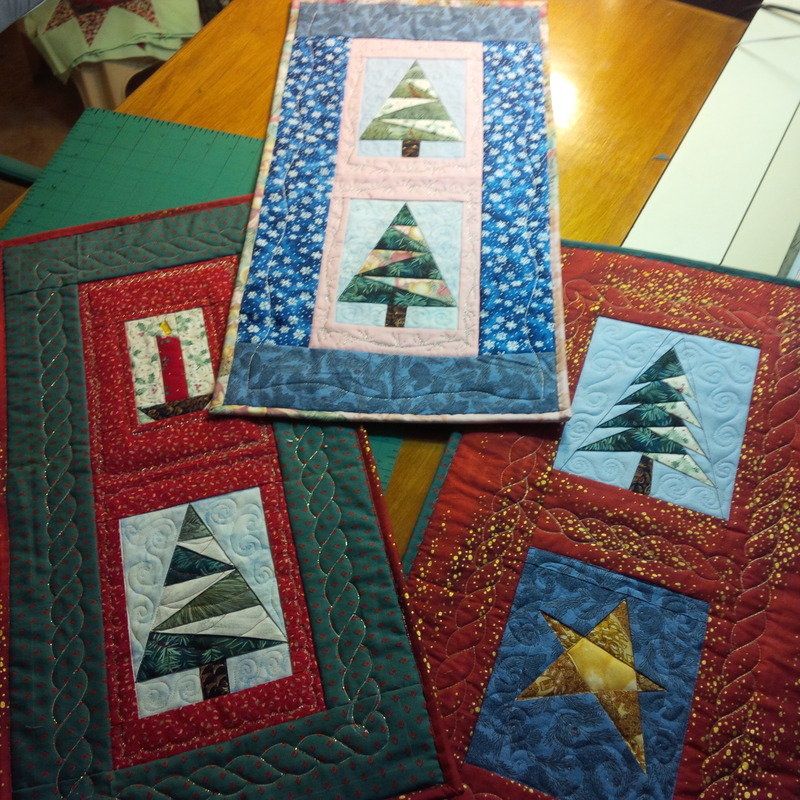 I quilted inside the trees to hold them in place, leaving the edges to fray in the wash. On the sky and on some of the trees I followed the fabric motif as a quilting design. I backed this and bound it in a brilliant orange tie dye print. I am very happy with the way this turned out. It’s my very personal fall landscape. 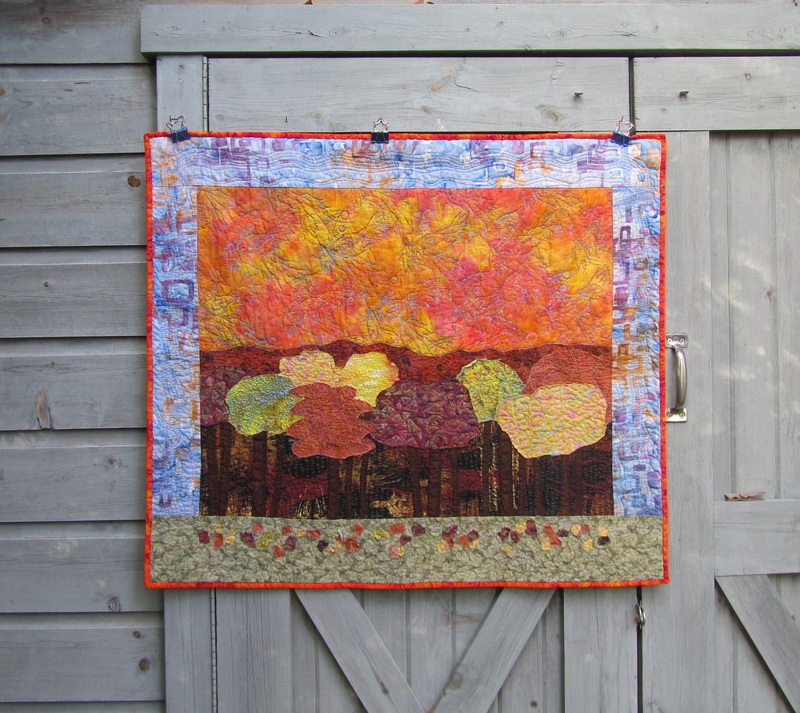 Categories: Finishes, Uncategorized | Tags: Amy's Creative Side, bloggers quilt festival, Evening in the Garden, fall glory, Valerie Root, wall hanging | Permalink. 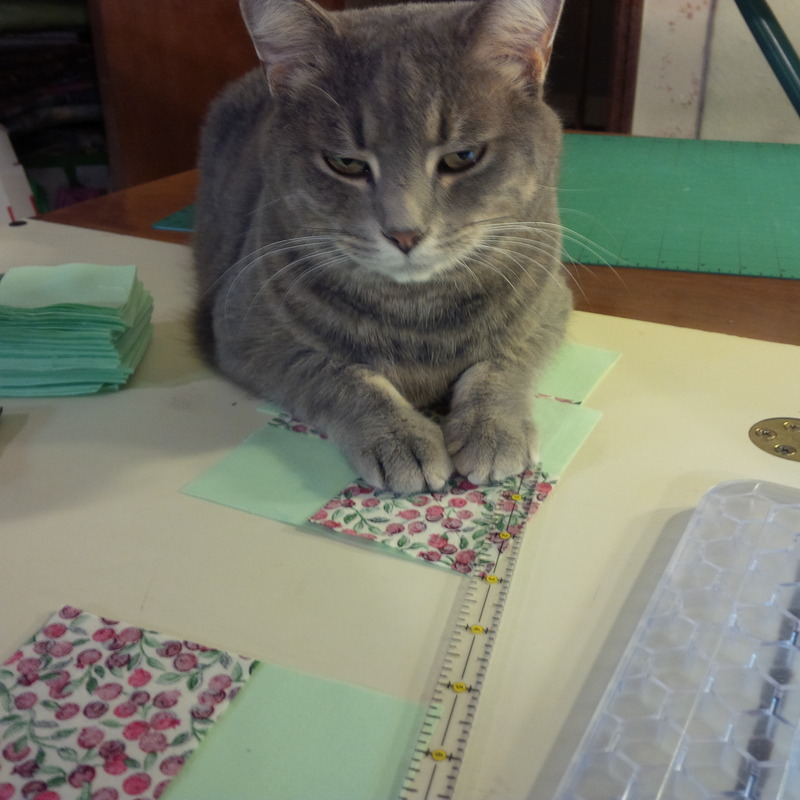 Sewing away over here, but no finishes to report. No fabric in, no fabric out. Next week should be much more exciting. 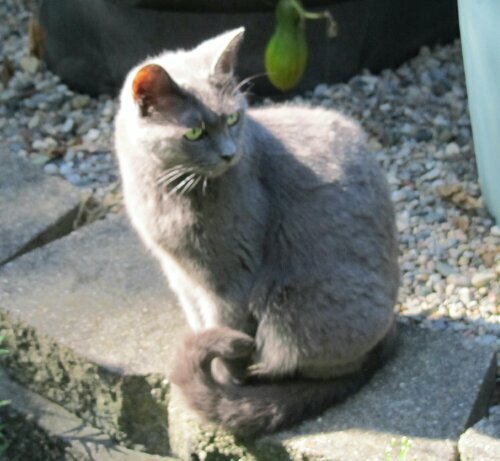 This is Krissi, by the way. How are you doing with your destashing? Categories: Stash | Tags: destashing, Evening in the Garden, Patchwork Times, stash reduction, Sunday Stash, sunday stash report, Valerie Root | Permalink. A little unseasonable snow this morning can’t hurt as I continue this Christmas sewing. 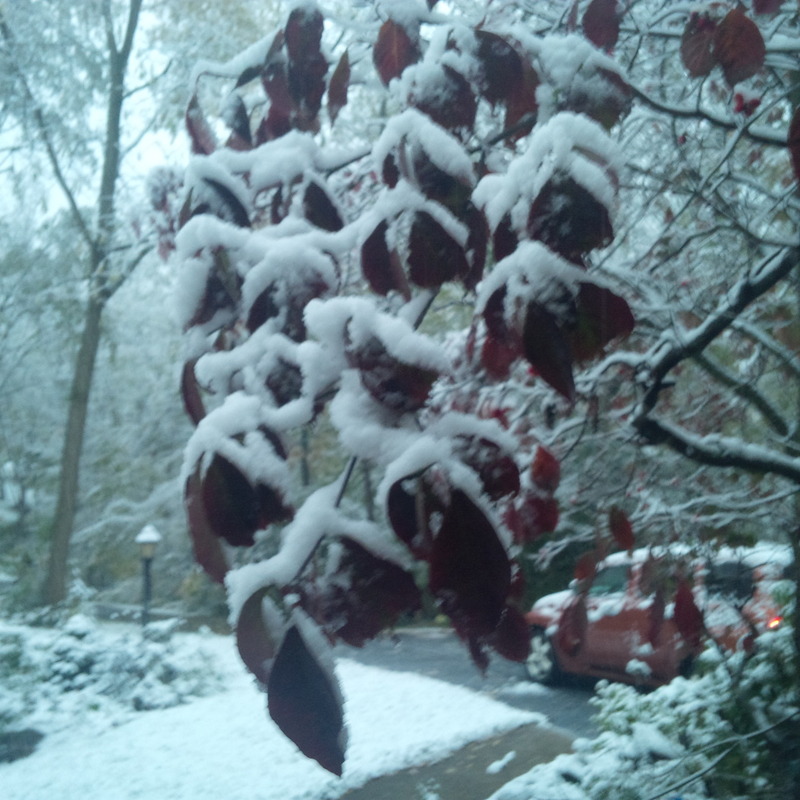 We heard there could be flurries, but it really was surprising to look outside this morning. 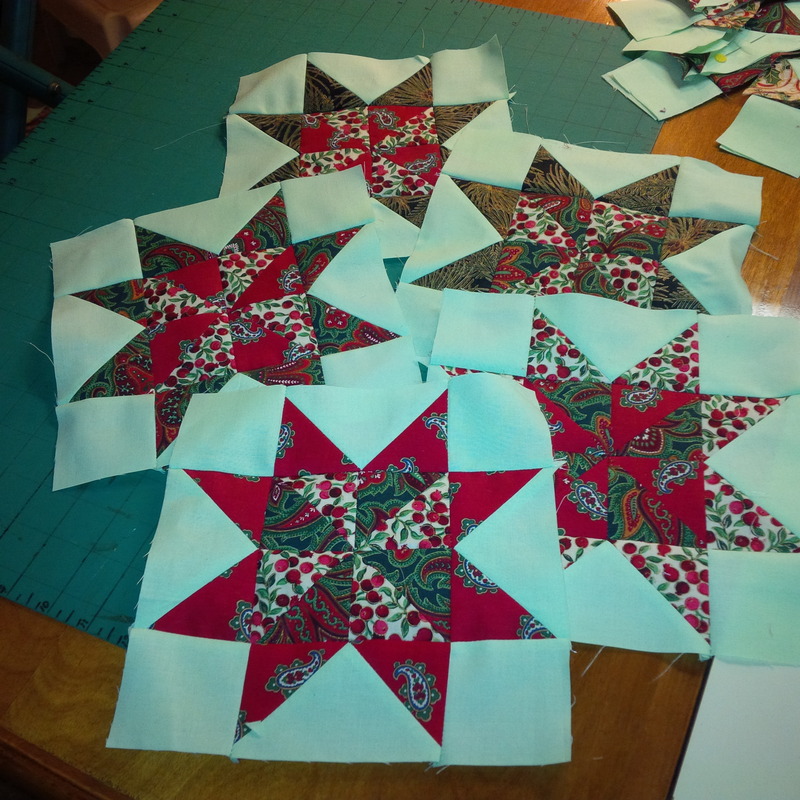 Even before there was a trace of snow, I got back to work on my Christmas version of Oh My Stars, the quilt along from Sheila at Thought and Found from two years ago. 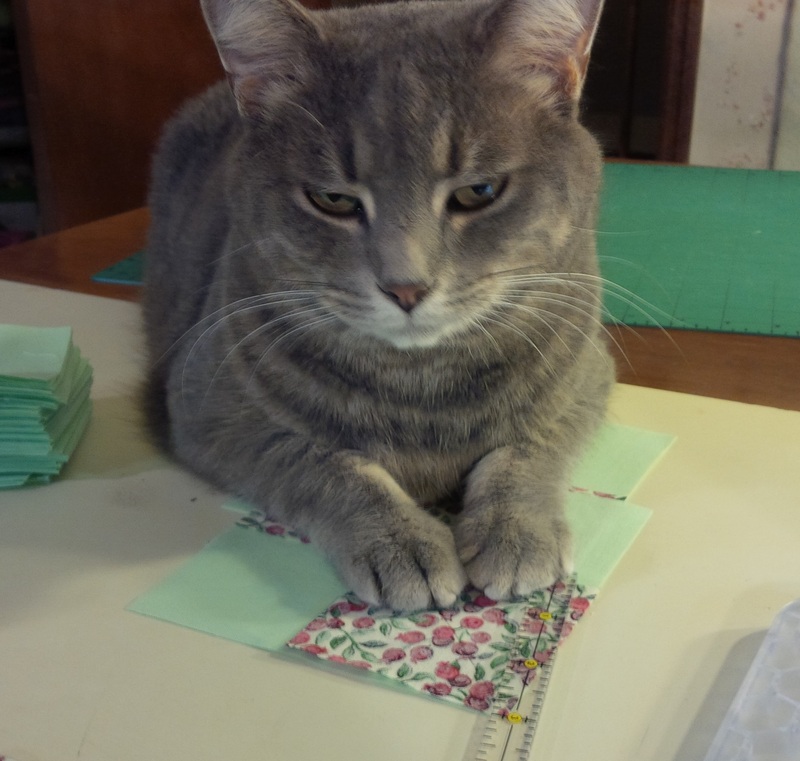 Obviously, I didn’t quilt along very well with everyone else. I got so behind that I put it away, and I really fell out of love with the project. I’m sure seeing Jaye’s beautiful version progress this past year has spurred me on, and I put it on my Getting It Done List for this month, so that I will have something to use come December. I hate UFOs! When I got this back out, it was so stale, some blocks were made, some pieces were cut, but I had no idea what or why, or where I was going next with it. I made a few more 12″ blocks and fiddled with other things while I got back in the mood. My fabrics have large-scale prints, so I never intended to make all the very detailed versions that are offered in this project. I chose 3-4 of the simplest patterns to show off the fabrics, which I love. Here are some 8″ blocks. And here are my 4″ blocks. Do they look more like gorgeous mixers? I took yesterday off and DH and I went on a leaf drive that included a visit to the KitchenAid Experience in Greenville, OH. They offer factory tours and cooking demos, but not while we were there. 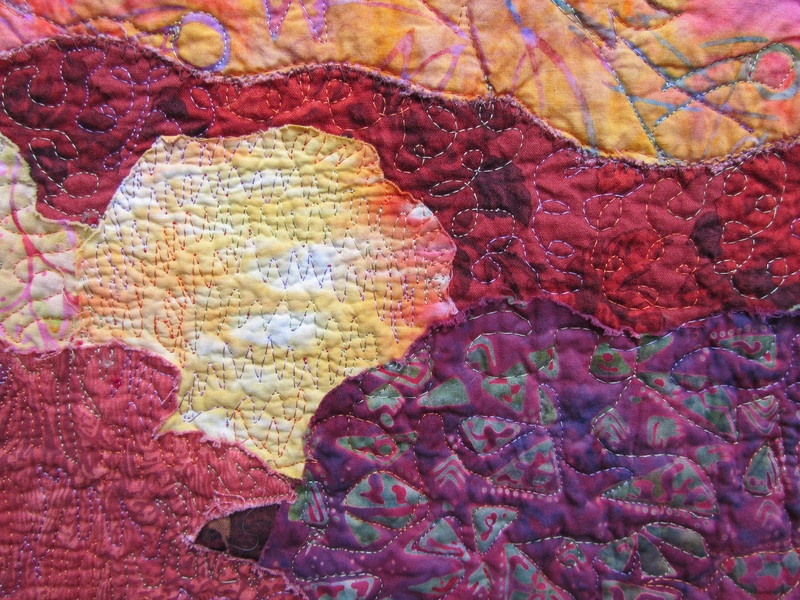 It was a quilter’s dream of color. They have good deals on refurbished mixers and blenders, too. 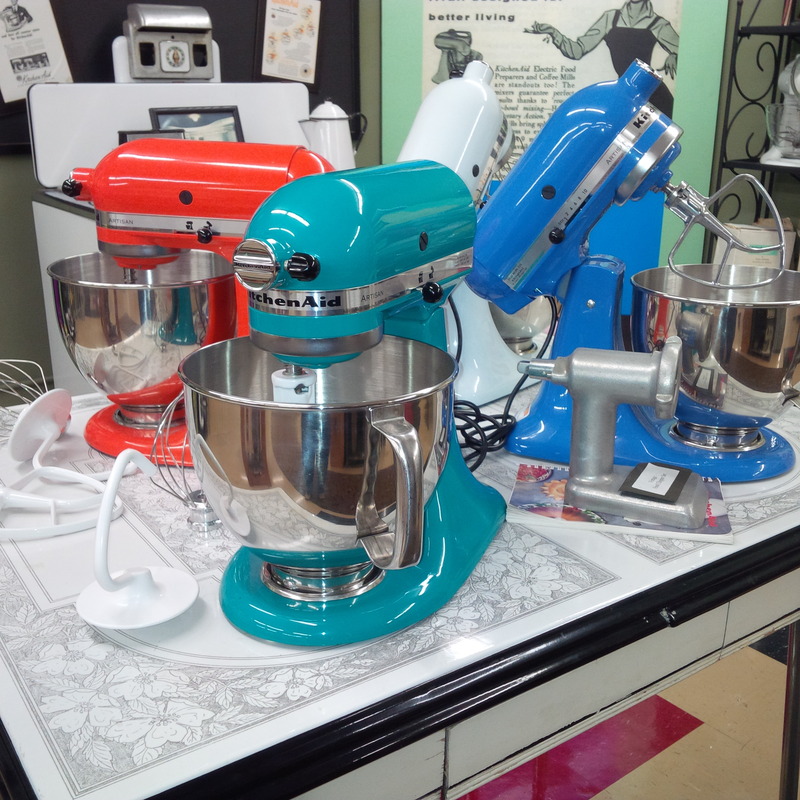 If I didn’t already have a (white) mixer, I know DH would have bought me one, he was so taken with the colors. So I still need to make the many little blocks. I doodled possible layouts for the quilt while waiting for dinner. I hope you’re playing with fabric. Or colorful mixers. 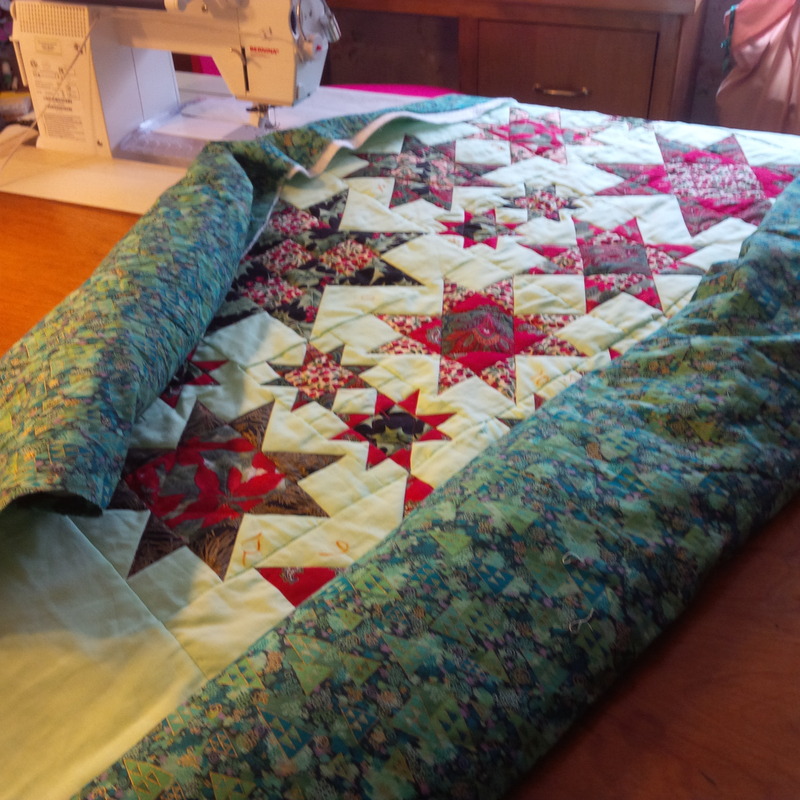 Categories: Uncategorized | Tags: Evening in the Garden, freshly pieced, Getting It Done, Oh my stars, Valerie Root, wip wednesday | Permalink. Lots of little sewing, not too much fabric used, but none came in, so I’m edging toward my goal of 100 yards destashing. The holiday wall hangings took 2.5 yards. Working on using up really old Christmas stash. 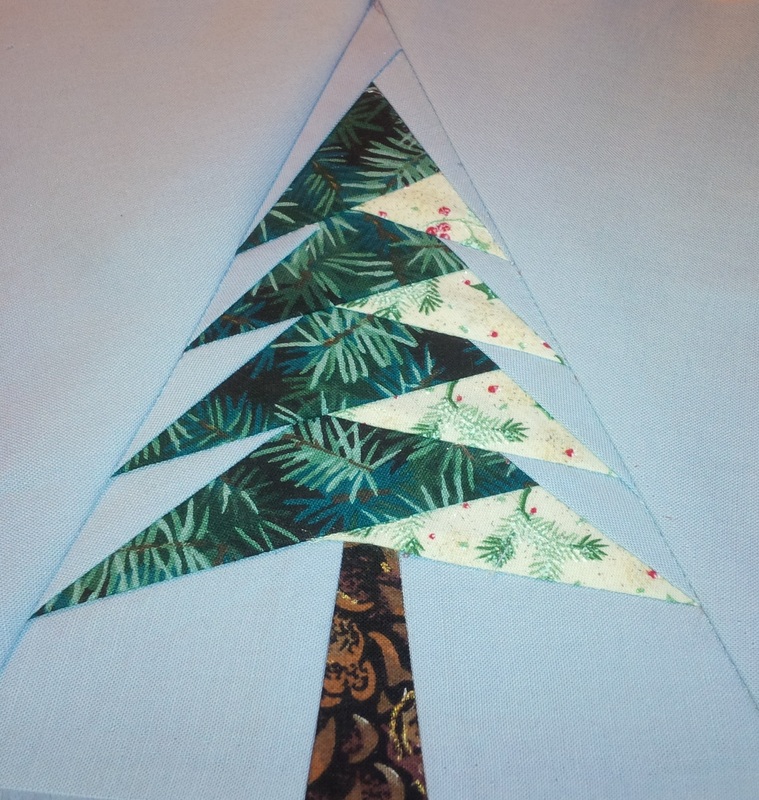 Categories: Stash | Tags: christmas, Evening in the Garden, Patchwork Times, stash reduction, Stash Report, sunday stash report, Valerie Root | Permalink. I’ll show you a little bit of new sewing in a minute, but first I have news to share. 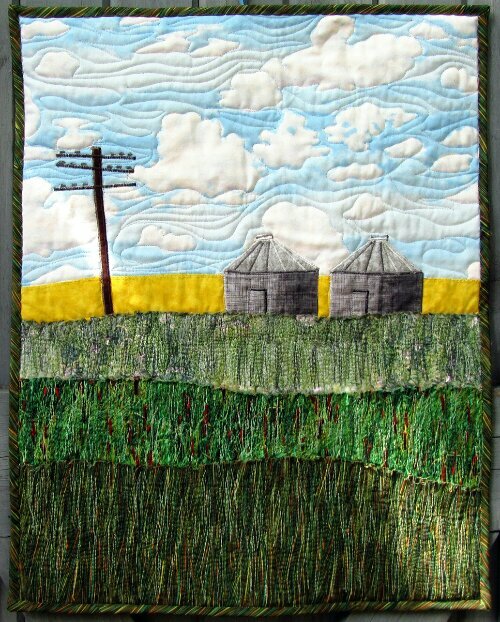 My “North Dakota Landscape” won the judges choice in mini-quilts in the Holiday Memories Mini-Quilt Competition over at Celtic Thistle Stitches! I’m so excited. This is the first year for this contest (thank you, Fiona! ), so there weren’t a huge number of entries, but go over and take a look. They are really great entries, with diverse ideas for portraying vacations from all over the world. So I am honored to win. AND…I won a batch of Oakshot Cottons, which was exactly the prize for which I was hoping. 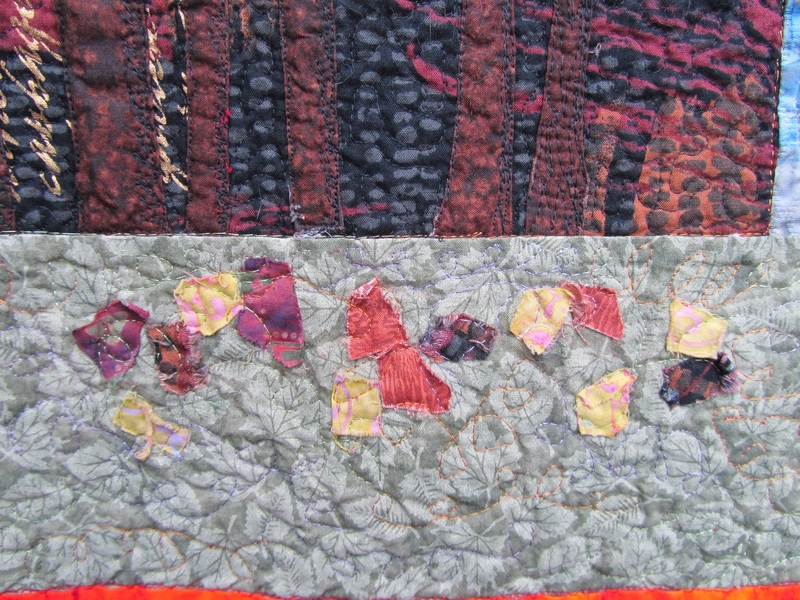 Thank you to everyone who advised and encouraged me in one of the few landscape quilts I’ve ever done. I paper-pieced this little tree (please hum carols- so far all I’ve gotten is a Halloween carol!). I think it turned out beautifully, but I am not making another anytime soon. I like to sew big patches together. This was a pain. 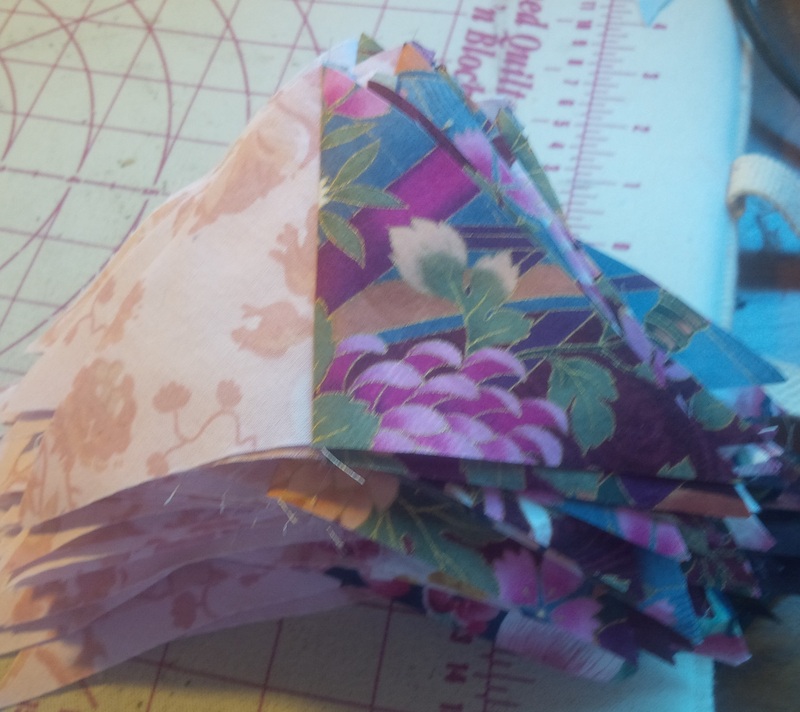 I cut and sewed a bunch of triangles together for Step 2 of the Scrapitude Mystery Quilt over at Quilting for the Rest of us. These are only part of that, but I did finish the step. I found that I used a lot of a few medium and dark fabrics for this particular size, instead of being really scrappy. I hope that doesn’t mess me up. 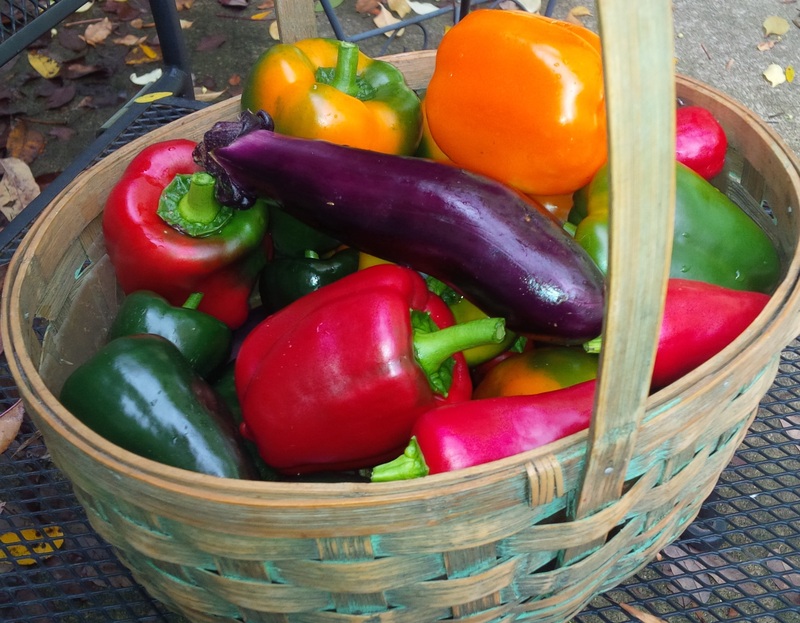 And I’ve been working away at the garden: harvesting, pulling, replanting, mulching. At the risk of jinxing it, we’ve been having beautiful fall weather. I hope you have, too. And I hope you’ve been playing with fabric. 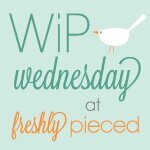 I’m linking up WIP Wednesday at Freshly Pieced. 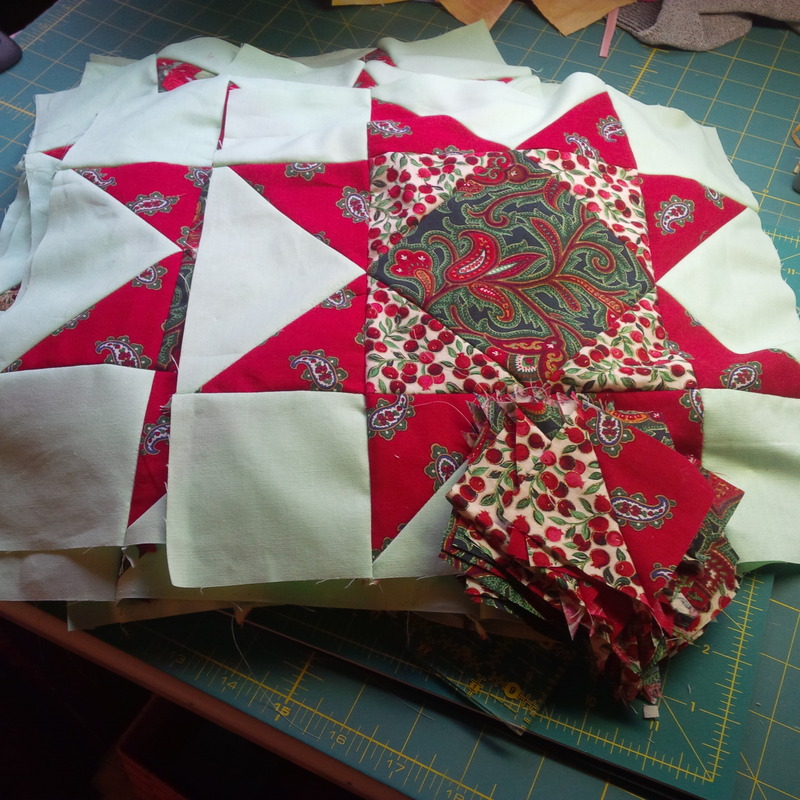 Categories: Uncategorized | Tags: Evening in the Garden, freshly pieced, Valerie Root, WIP, wip wednesday | Permalink. How are yo doing with your destashing?